Once Henry Mayo Newhall Memorial Hospital was up and running in 1975, members of the SCV Women's Auxiliary  aka Pink Ladies  continued to raise funds through gift shop sales, fashion shows and other activities, for new equipment like this portable X-ray machine, or "C-Arm." 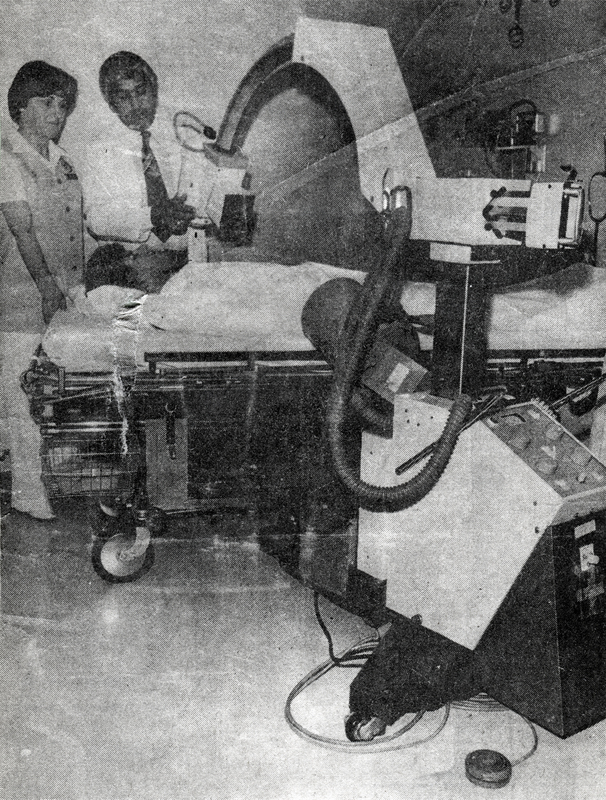 In this 1979 photo, Dr. Neil G. Diorio, director of radiology at Henry Mayo, shows Auxiliary President Betty Burke how the image intensifier improves the hospital's diagnostic capabilities. The Auxiliary provided funds for its purchase.